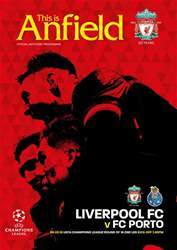 UEFA Champions League knock-out football is back at Anfield for the first time since 2009 and Liverpool players and manager alike insist much is still to be done to secure a quarter-final place. Jürgen Klopp speaks of the Reds needing to be 'ruthless and relentless' to finish the job tonight, echoed by captain Jordan Henderson in their matchday columns. 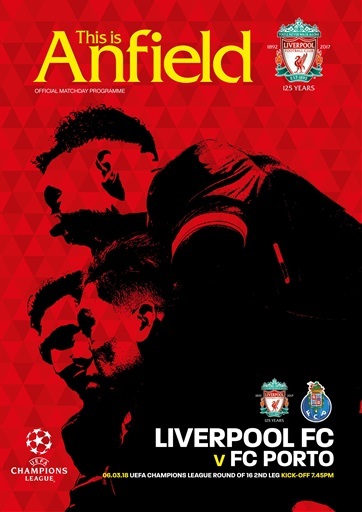 Also inside are interviews with Alex Oxlade-Chamberlain and Andy Robertson, The Big Read looks back on Mo Salah's career so far and there's all the low-down on how the Champions League is shaping up as the tournament enters its latter stages. The official matchday programme is on sale now.